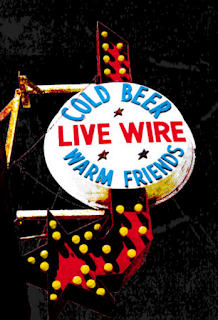 If you've been paying attention, on Thursday LiveWire announced their 25th Anniversary Party. They've stepped up from the Mississippi Room at the Lafayette to the Observatory North Park to accommodate all the friends and fans who want to celebrate the momentous occasion. The LiveWire 25th Anniversary Party will feature Rocket From The Crypt, The Meices, and MARIACHI EL BRONX a third band which will be announced next week, plus LiveWire DJs, plus food from some favorite local joints. Tickets are $30 plus a small transaction fee. Buy them early. LiveWire recommends that out-of-town guests (and local professionals) should consider booking a room at the Lafayette Hotel. They are offering rooms for just $179 (regularly $209) to help celebrate that weekend. Tell them you're part of the Live Wire anniversary to get the discount.